It's the end of the work week and another Freedom Friday has arrived. Every Friday I will showcase a video clip involving something funny or something involving Technology. The talk today is all about the new "Bing" search engine by Microsoft that I posted about yesterday. They have launched a preview video which should be fully functional by June. Interestingly, Google has also launched Google Wave which has taken the wind out of Bing's launch. Google Wave is suppose to be email,twitter-like, Msn combination all in one interface in real-time. I'll make a post about that as soon as it's functional. Have a great weekend! Here's a little clip on Google "Wave". Microsoft is going to launch something very similar or even better than Google in the next couple of days. It will be a new search engine called Bing. Microsoft has put over $100 million dollars to promote this site. Funny thing is I have not really heard much about this site for the exception on the internet. Microsoft has stated it will at least be 10 times better than Google. I find this very difficult to believe but I must admit it makes me interested in what they have to offer. Bing must have something that is totally unique from Google. So we will have to wait until they launch. If you go to the site now it is a blank url screen. Some have already created an acronym for BING-"But It's Not Google". I guess we'll just have to wait and see. If you are trying to decide on what phone to get this summer you may want to wait until June or July. 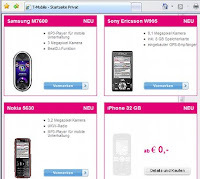 It has been leaked on an Austria website that a 32gig iphone will be coming out. This cannot be confirmed but the image above should speak volumes. In Canada, Boy Genius has stated that Rogers should be coming out with 2 Iphone models. A 16GB and 32GB model withthe addition of new Ipod Nanos. The rumours are beginning to heat up as the summer nears especially with the Worldwide Develpers Conference coming. Will you buy the new iphone or will you try out the new Palm Pre or Google Android phones? There have been talks lately that Twitter will have it's own tv show. We have heard so much of reality tv but this information is very interesting. It's the first time a website is going in the direction of television. The question on everyones mind is how would they integrate Twitter. At first when I heard this I thought it would be about using Twitter and having viewers interact with celebrities on tv. According to Twitter, they would allow rights for different television networks to use Twitter in whatever format appropriate for the shows. This would bring more exposure for Twitter which is a good thing. Right now the only way I see Twitter being used on tv is through viewer response through newscast. It's usually based on a top new stories for that particular day in which callers respond with their own views via Tweets. It will be interesting to see if this method of integrating tv with a website will work. These are two sites that are competing with each other to gain users that allow you to upload videos. The popularity of video uploading sites such as youtube, Vimeo, and Smugmug make video uploading a major trend on the internet usage right now. Adding the popularity of Twitter and to be able to post videos with one click will even make these two websites more popular. Twitvid is now live and working and Twitvid.io should set to launch by end of week. Here's a video summary on Twitter. It's always difficult to explain what Twitter is to those that are new to it. My simplest answer is that it can really be what you want it to be. It can be for status updates or it can even be used as a toll for networking. The best way tp find out is to sign up for an account and try it for yourself firsthand. My cousin in the states had just sent me a link to BUY IT HERE. 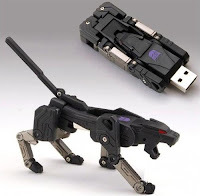 I grew up watching the Transformers so this was an interesting find. It's such a geek gadget that I thought I would post this. Enjoy. Since it's a short week due to the holiday here in Canada that would mean a short week. Here's a short video interview with Twitter co-founder Biz Stone. He speaks about the originaton of Twitter and its brand. Hope everyone is enjoying the long weekend on this Victoria Day. I thought I would post some interesting video on two Beatboxers who simply are amazing. This footage was taken at the "Google" offices in Europe. The video is about 18 min.long but it quite simply cool how the sounds are all just created with just their mouth and a mic. Hope you all have a great long weekend. Here's a quick and funny video on a real life skit on Twitter. Since there have been negatives news about the recent "@replies" on Twitter and Google Gmail being down I thought this was a funny video to end the work week. Enjoy! Technology at a baseball game. Where does creativity come from? It's a simple question but a difficult one to answer. on creative thinking, design elements, use of colour and their methods of expression.What better way to express your creativity then your own business cards. Designers and thinkers alike have had that time were they have a creative or mental block. To see things visually at an exhibit gave me the ability to think creatively again. I'll end this blog with a question for all to ponder. How do you keep being creative? Graphic Design Students of the Future. Over the weekend my cousin who is a student at Ontario College of Art and Design told me they had a graduating student exhibit in multiple disciplines including photography, design and advertising. It is always inspiring to view student pieces because they are usually creating excellent work on a certain topic or theme. It is always interesting to see the different interpretations of a particular subject. Visiting this exhibit also got my creative juices going which is always a good thing to get me motivated in general. The biggest thing I've noticed in the exhibits; more specifically in the Graphic Design area is that "Technology" has taken over by the influence of various vector arts and typography manipulations. Back when I went to school it was all about creating it from scratch with a T-square and Tria-markers. Students today have a distinct advantage in creating mock-ups and designs with the compliment of computers and worklabs. At my graduation I was only using a Power Mac 7200 with just floppy disk and 500Mb hard drive. Today students now have more juice power than they'll ever need. I must admit that the art pieces and designs are truly amazing and inspiring. Good Work! Toronto's First Significant Twitter Event. I hope all of you enjoyed the weekend and Mothers Day last night. Yesterday in Toronto it was a very crazy evening with regards to the news. Tamil protesters have been protesting for several days in a peaceful manner exercising their rights to protest. I just thought his submissions were creative and very professional looking. These videos have also gone viral lately on the internet. Here's wishing him "Good Luck" on his future job search. Happy Freedom Friday everyone. because Ticketmaster has been the main player in ticket sales. There are also smaller companies like Ticketmaster that sell tickets as well for small to large events. 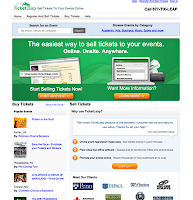 TicketLeap is different in that it is totally web based and customizable. So if your a small business and looking for a cheap method to create your event this could be an option for you. Anyone now can be the ticket seller and this bridges the gap between you and the larger companies like Ticketmaster. All you need is a WIFI or internet access and laptop. Do you believe in percentages and numbers?? Did you know that there are 131 Cdns. infected with H1N1(Swine Flu). Did you know if you drink coffee everyday it will lower your risk for cancer to only 30%. Did you also know that 65% of Canadians own a cellphone. The point I'm trying to get across is that we hear so much about percentages/numbers in the news that we actually believe what they say. Have you ever questioned how they come to these results or how they were polled? Sometimes it's all about marketing and what marketers want you to think. If a dentist promotes a toothpaste by stating "1 in 4 dentist recommend this toothpaste", it will persuade you to use it right? But we still have no proof these comments are "True". The news and media report like this everyday. A good example is the recent news of Swine flu. Every media report has a different tally on reported cases. In Toronto news, one outlet reports 120 cases of Swine flu, while another media outlet will state a different number. Who do you believe? Sometimes you really need to be careful and aware of the facts and figures that are promoted. A recent poll or statistics can only be use as an analytics or a way to see trends or patterns. Hopefully people can understand this and make proper judgements on their own because I know for a fact that I'm 85% correct most of the time! Twitter is the darling of Social Media right now. As I begin to type this blog post this morning I noticed that "Google got shutdown" is trending on Twitter. I type in the google url and everything seems to be fine. I did a search of the phrase on Twitter and it was more about Google being shutdown or blocked from purchasing Twitter. Apparently Twitter does not at this point want to be sold to Google. There are also speculations that Apple has put in an offer for Twitter as well. These are interesting rumours that seem to be picking up steam on the Internet lately. This might explain why Apple's website was down for a couple of hours this past week. We'll keep you posted on this info. On another note it was just announced that Rogers (Canadian Wireless provider) with Fido will allow for Twitter via SMS. If you already subscribe to a text messaging plan you will be able to tweet at not extra cost. you will be able to select who you receive and get messages from. So that's the early Tuesday morning scoop. Let's see if more buzz awaits in the coming weeks. Have you ever had to watch the news at 6pm to find out what happened earlier in the day? Maybe you are watching those 24 hr news shows for your updates on current affairs. This is fine and dandy if you are located by a television or screen to watch. Twitter can deliver you the news much quicker and faster from anywhere. If you are in a shopping mall, or even just walking on the streets; you can receive updates more instantaneously as it happens. I recently noticed that California had some recent earthquakes that were not even broadcast by the news until later that day. I was also able to ask a friend in California if they experienced the tremors. Twitter is quick and so fast! The timing of information being relayed can help companies in various ways. It's another Freedom Friday! Here's a funny video to view on this May Day! Have a Great weekend all! Social Media and Social Networking sites seem to be the buzz lately everywhere you go. From Facebook, MySpace and even Twitter. It's interesting to see how media outlets are using it to get information to report news or info that maybe important to you. A good example is a local popular morning show here in Toronto called "BreakFast Television". They invite you to Tweet or email your stories to them to broadcast to other viewers. It's an excellent idea to get "Breaking News" as it happens. Another great example is to get quick "Traffic Updates" in your area. This shows how technology adds a new way to interact and influence are media which is very powerful and effective way of communicating and being social at the same time.